ISLAMABAD: The year 2018 was one of change because it brought former cricket star Imran Khan to power after a struggle of 22 long years on the political pitch. The two major challenges his government inherited have undoubtedly been the country’s faltering economy and lopsided foreign policy. The Pakistan Muslim League-Nawaz (PML-N) administration had struggled to put its act together on the external front due to a rift between the civil and military leadership. However, the emergence of Imran Khan has renewed hopes that there would be some semblance of coherence in the foreign policy as he enjoys the backing of all state institutions, including the military establishment. In his first speech soon after his party emerged as winner in the hotly contested but disputed July 25 elections, Imran reached out to Pakistan’s immediate neighbours, including India and Afghanistan. In essence there was no major difference between the policy Imran wants to follow and that pursued by his predecessor on India. The only and perhaps the critical difference has been that Imran does not come with any historical baggage as had been the case with ousted prime minister Nawaz Sharif. That was the reason that Imran went ahead with the opening of Kartarpur Corridor to allow Indian Sikhs to visit their holy shrine on Pakistani side of the border without any visa. Such a unilateral concession was certainly not possible had the PML-N been in power. Despite India’s lukewarm response to the PTI government’s peace overtures, Imran continues to offer a hand of friendship to Pakistan’s estranged neighbour. But 2018 has gone by without any breakthrough in Indo-Pakistan ties. The government here has accepted the fact that it has to wait until Indian parliamentary elections in May 2019 to think of any restart. As has been the case for many years now, relations between Pakistan and the US remained fragile in 2018. In fact, the year had a worst possible start when President Donald Trump in a scathing tweet accused Pakistan of ‘lies and deceit’. The Trump administration subsequently suspended the entire security assistance to Pakistan for failing to meet its demands in the fight against terrorism, especially on Afghanistan. 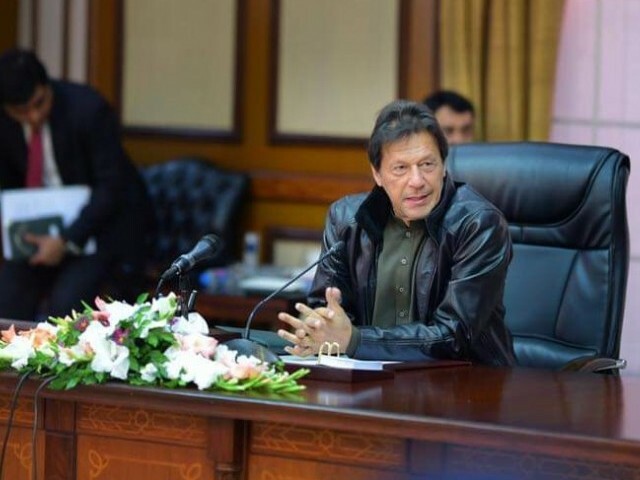 The election of Imran as Prime Minister added a new dimension to Pakistan-US ties since he has always been a strong critic of Washington’s Afghan policy. The maiden telephone call between Prime Minister Imran and US Secretary of State Mike Pompeo triggered a diplomatic spat after Islamabad and Washington issued contradictory versions of the conversations. Nevertheless, the two sides decided to move on to allow bilateral exchanges for resetting their troubled ties. Despite a visit by Secretary Pompeo to Islamabad and Foreign Minister Shah Mehmood Qureshi’s trip to Washington, the trust deficit remained between the two sides. In fact Trump and Imran had a war of words on Twitter after the US president accused Pakistan of providing shelter to al Qaeda chief Osama bin Laden. But when everyone thought the two countries were heading towards a point of no return, Trump wrote a letter to Imran seeking Pakistan’s help in arranging peace talks with the Afghan Taliban. Within days of the letter, Pakistan brokered direct talks between Afghan Taliban and the US in Abu Dhabi. For the first time Taliban were represented by their political and military wings, renewing hopes for a possible breakthrough. In fact within days of the Abu Dhabi talks, also attended by envoys from Saudi Arabia and the UAE, Trump decided to pull at least half of 14,000 US troops from Afghanistan. The move, though it came as shock to many, is seen as part of US efforts to ensure an ‘honourable exit’ from Afghanistan. With these rapid developments, 2019 could be the decisive year for putting an end to the 17-year-long war. If any deal is struck, this will certainly help resurrect fragile ties not only between Pakistan and the US but also between Pakistan and Afghanistan. However, at the same time Pakistan’s relations with the US and Afghanistan may see a sudden dip in case the latest push for a peace deal fails. While there may be many ifs and buts when it comes to Pakistan’s ties with India, Afghanistan and the US, the outgoing year saw significant improvement in Islamabad’s relationship with China and key Arab countries, including Saudi Arabia and the UAE. Both Saudi Arabia and the UAE bailed out the government of Imran Khan with their financial assistance. These relations are poised to grow further as top leadership of Saudi Arabia and the UAE would travel to Pakistan in the first quarter of 2019.